I came across my Beer Drinkers Guide to Colorado map the other day. If you are unfamiliar, it is much like the map they are selling here: http://www.beerdrinkersguidetocolorado.com . It is a real cool full-sized map which lists every brewery in Colorado.... or at least it listed every brewery in the state at the time the map went to the printer. It also has a ton of information and lots of coupons. They say over $250 in value. Mine is the 5th edition, and has significantly fewer breweries in it than the current 6th edition. Based on the ridiculous number of breweries that seem to be opening every month round here, I have to assume the 6th edition is woefully out-of-date already too. I know the couple who put it together tried to include breweries that were on their way .... but still ... there is no way a map like this can be up-to-date. 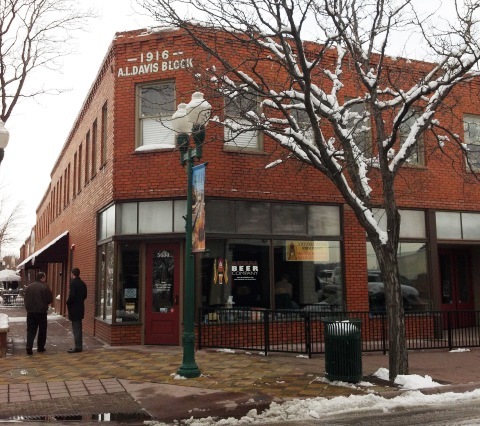 In case you didn't know, Colorado has lots of breweries. Lots of these breweries are in the Denver area, and I am sad to report that I have not been to most of them. Actually, I have been to a pitifully small proportion of them. I brewed Helles in a Hand Bock-sket Saturday. This was my 5A. Maibock/Helles Bock beer for my goal to expand my brewed recipes to at least one beer in all 23 BJCP beer categories. After finishing up this Maibock, I now only have 7 more categories I need to cover. I got a much later start than usual for a brew day. Until around 9 AM or so I had not decided whether I was going to brew Saturday or Sunday. As I usually get started before the sun comes up, this brew day felt sort of weird. I am a fan of Mr. Beer. I have made no secret of the fact that I started home-brewing after receiving a Mr. Beer kit from my sister for Christmas of 2008. I got hooked so quickly that my wife got me a second fermentor for my next birthday which was less than a month after brewing my first batch of beer. If you look back in the SheppyBrew Brewing Calendar for 2009 and 2010, you will see a crazy amount of brewing, all done in Mr. Beer fermentors. By my count, over those first two years, I did 62 batches of beer at 2.4 gallons a pop. I started with the super simple Mr. Beer recipes. I moved to other extracts with steeping grains and then to partial mashes. Finally, I stepped up to all-grain brewing . All of this in the Mr. Beer fermentors. Every month since May of 2011, this blog has gotten more and more page views. February did not have more page views than January, so this epic streak is now over. Part of me is relieved that this happened. The streak was unnatural and creeped me out a bit. According to the average views per day, had this been a 31 day month, the streak would have continued. If it were a 30 day month, we still would have missed it. If you feel like reviewing the magic ride, feel free to read through the posts at http://blog.ericshepard.com/search/label/Blogging. As it turns out, February comes in 5th all-time behind Oct 2012 thru Jan 2013. For what it is worth, March is off to a great start. This month's topic comes from Adam at Pints and Pubs. He wants us to take a Beer Audit of our beer cellars. What is in there? What does it tell us about our drinking habits? 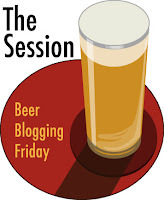 I encourage you to read his post: The Session #73 Announcement: Beer Audit. for the nitty-gritty details around his topic. I'm sure I wouldn't do it justice if I tried. Ok ... so if you are already familiar with this blog, you already know what a nerd I am. I hope those "first-timers" of you who might come across this blog post won't judge me too harshly. It is interesting to me that Adam says that he takes stock of his beer supply a couple times a year, because I know at all times more or less what beers I have in my "cellar". Of course, it sounds like I have less beers in mine than Adam has in his.